Raymond and Alison Calvert welcome you to their campsite near Keld in Upper Swaledale. 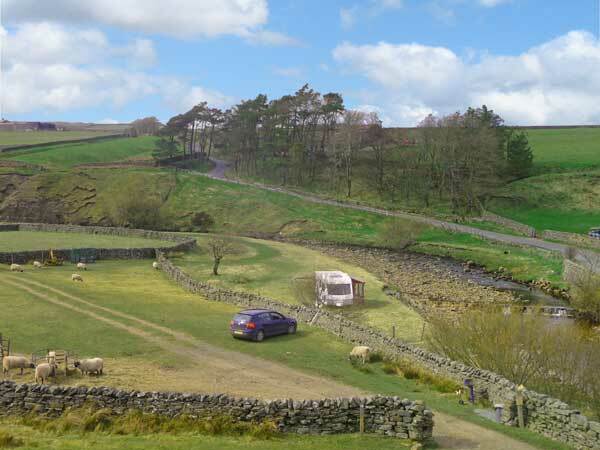 If you are looking to get away from it all, then our campsite half a mile from the source of the Swale could be just for you! 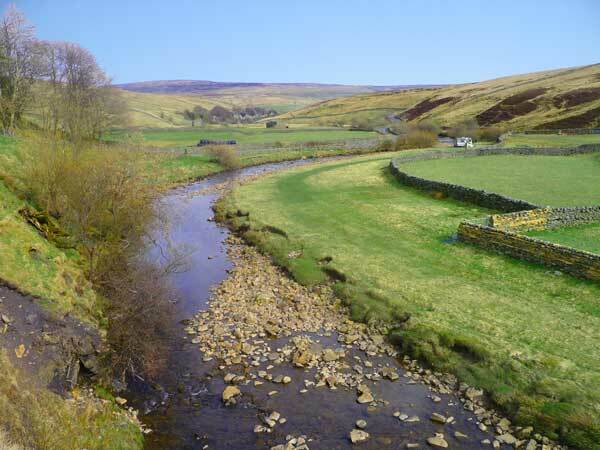 The campsite is in a quiet, secluded location next to the river amongst the magnificent scenery of Upper Swaledale. The area, located in the Yorkshire Dales National Park, is renowned for its dry stone walls, barns, flower-rich hay meadows and moorland birds. Our campsite is a flat, grassy area next to the river offering plenty of room for you to spread out. We welcome tents, caravans and motorhomes. Opening: We are open from March to October. Facilities: Toilet facilities (portaloo) are provided till the end of September. You are also welcome to use your own toilet tent. We are happy for you to bury your waste as long as it is done properly. You will need your own spade. We do not have formal washing facilities, but the River Swale is lovely and refreshing at this time of year! We appreciate this is not for everybody, but if you like wild camping, we think our location will make up for it. Drinking water from our own natural spring supply is available from a tap outside the farm house. 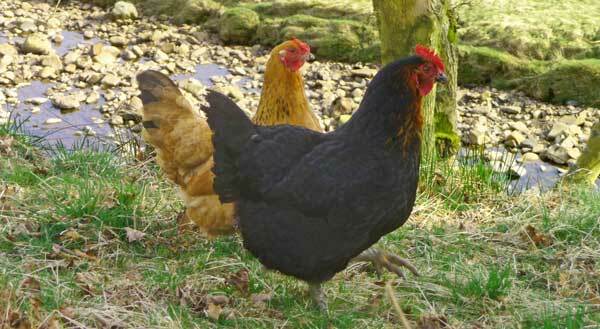 Fresh free-range eggs are available for sale when our hens are laying. Campfires: We allow campfires with permission only. Please check with us before lighting fires. Where permitted, please protect the grass by lighting the fire on the river side. Firewood: We have a limited supply of logs for sale at £5 per bag. These will not start a fire so bring your own starter material and where possible bring your own wood. As this is a conservation area, you must not cut branches off our trees or damage buildings by removing wood. Rubbish: recycling boxes and rubbish bins are provided on the site. You may leave reasonable rubbish from your stay but please put in the bins provided and separate cans, glass bottles and plastic bottles into the recycling box. Please bear in mind that sheep may wander onto the field, so do not leave any sharp objects or broken glass on the field or river side. Please do not leave any unwanted tents or camping equipment.